"I know the truth, and the truth matters. And you have to face that and accept it." 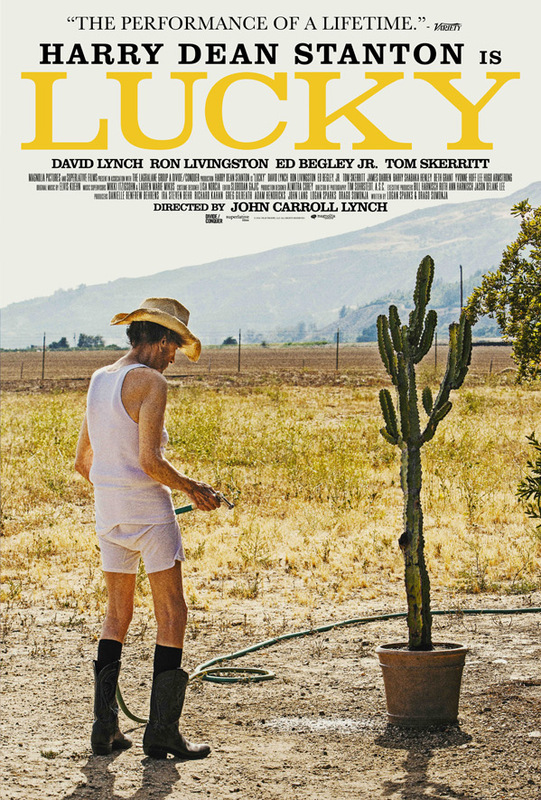 Magnolia Pictures has debuted an official trailer for a special indie comedy titled Lucky, starring Harry Dean Stanton as the character "Lucky". As the official description explains, the film is not only a "love letter to the life and career of Harry Dean Stanton", but also a "meditation on morality, loneliness, spirituality, and human connection" telling the story of a 90-year-old atheist. And it looks damn good. Co-starring Ron Livingston, Ed Begley Jr., Tom Skerritt, Beth Grant, as well as filmmaker David Lynch as "Howard". I'm very curious to see this just to hear everything Harry Dean Stanton has to say, maybe there's some valuable wisdom to pick up from someone who has lived this kind of long life. Besides that, it looks like it has some good laughs. Enjoy. Lucky follows the spiritual journey of a 90-year-old atheist and the quirky characters that inhabit his off the map desert town. Having out lived and out smoked all of his contemporaries, the fiercely independent Lucky finds himself at the precipice of life, thrust into a journey of self exploration, leading towards that which is so often unattainable: enlightenment. Lucky is at once a love letter to the life and career of Harry Dean Stanton as well as a meditation on morality, loneliness, spirituality, and human connection. Lucky is directed by acclaimed actor-turned-filmmaker John Carroll Lynch, making his feature directorial debut. The screenplay is by Drago Sumonja and Logan Sparks. This premiered at the SXSW Film Festival earlier this year. Magnolia will release Lucky in select theaters starting on September 29th this fall. Interested?